What’s happening to the birds and the bees? Reports of vanishing bees continue to pour in from beekeepers around the country—in many cases, entire colonies have suddenly failed to return to their hives. Now bird lovers are sounding an alarm too. Ornithologists have long known that many rare birds are in decline or even on the verge of extinction. But citizen scientists are reporting that common birds are also disappearing at an alarming rate. An analysis of data collected around the U.S. by volunteer birdwatchers shows that all of the 20 species listed as Common Birds in Decline lost at least half their populations over the last 40 years. The data come from annual Christmas bird counts led by the National Audubon Society, along with annual summer breeding bird surveys organized by the U.S. Geological Survey. 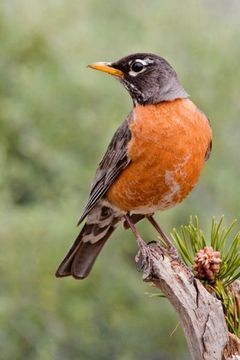 Among the birds that are declining are familiar species such as meadowlarks, bobwhites and even robins. Because these birds are still relatively abundant, their waning has gone largely unnoticed. Scientists theorize that the declines are due to a combination of factors, including climate change and the extensive conversion of forests and grasslands to residential development. Suburban sprawl has also expanded the range of the domestic cat, a bird’s worst enemy. Even when cats aren’t actively killing birds, they may be scaring them so badly that they can’t breed successfully. A recent study published in the journal Animal Conservation estimated that a reduction of only one hatchling per breeding pair per year per cat could eventually reduce some bird populations by up to 95 percent.